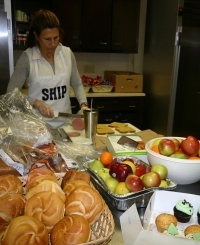 SHIP provides over 15,000 meals through its breakfast/bag lunch and dinner programs each year. SHIP occasionally provides other assistance to those in need. 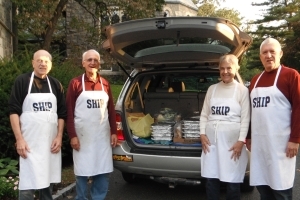 SHIP provides over 15,000 meals each year through its Breakfast/Bag Lunch and Dinner programs! In May 2016, Calvary Church will begin renovations to the kitchen, dinning hall and other parts of the building which SHIP uses for the Breakfast/Lunch Program. On April 18 the Breakfast/Lunch Program will move to the United Methodist Church of Summit, located on 17 Kent Pl Blvd. The work is expected to be completed sometime in the fourth quarter of 2016 at which time we will return to Calvary Church. When resources permit, SHIP can sometimes assist patrons in ways beyond a hot meal and a friendly word. In recent years, for example, SHIP has assisted some patrons wishing to relocate outside New Jersey to be near family and friends. SHIP enabled one patron to reconnect with family members and move to Maryland. In another case SHIP funded a patron’s permanent move to Connecticut. More recently SHIP financed transportation expenses for yet another patron who wished to relocate to South Carolina. SHIP provides additional support services on an ad hoc basis throughout the year. 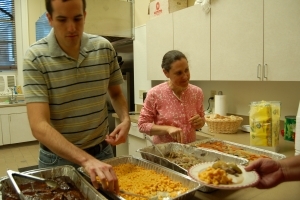 An example was the meal program set up in the wake of Hurricane Sandy in October 2012 in conjunction with Calvary Church (watch video). SHIP provides, under the Family Promise program, hot breakfast on weekdays to families staying with various Summit congregations. SHIP has provided emergency financial aid to families in need. SHIP has assisted in placing homeless patrons in County shelters, Salvation Army shelters and chemical dependency programs. SHIP periodically distributes items of clothing and can obtain specific items upon request.